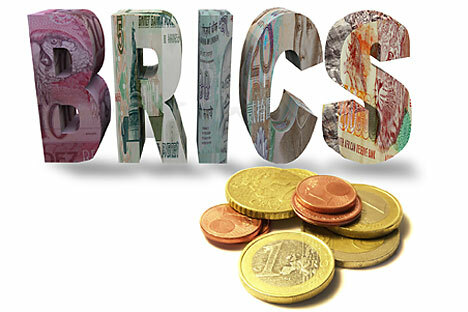 The rise of the BRICS nations as new epicentres of economic activity in the rapidly evolving world order has been simultaneously accompanied by a steady decline in the relative economic strength of many of the member countries of the eurozone. The single currency union has become essentially a two-faced beast. A North–South divide in economic fortunes is clearly visible within Europe (and the irony of this is probably lost on most Europeans). It is time for the leaders of this grouping to recognise the fact that the major rebalancing and recalibrating actions that are urgently needed within the economic and monetary union must also address the concerns of external creditor nations such as those within the BRICS grouping. After much introspection and procrastination, the European leaders managed to pass a controversial but necessary deal on Greek debt. The deal, which calls for a “voluntary” cut on a nominal 50 percent of private sector investments of over 450 financial firms to reduce total debt burden in the economy by 100 billion euros, is a desperate attempt by policymakers to stymie the relentless bouts of selling pressures on Greek debt. Although given the circumstances, it was extremely important for the eurozone to signal some form of cohesive multi-stakeholder action to the financial markets, the deal is built upon ambiguous foundations. The private sector has voluntarily decided to take these ‘haircuts’ and at the same time banks have agreed to increase capital reserves to 9% to shield against an imminent market collapse in Greece. This translates into tremendous pressures on banking institutions, without much positive effect on the bond markets, with Greek bonds still yielding unprecedented rates of interest. It is clear that the projected reduction of Greek debt to GDP ratio from 160% now to 120% in 2020 is not impressing bond traders. The European leaders have announced that they seek to increase the size of the European Financial Stability Fund (EFSF) from its current capacity of 440 billion euros to over a trillion euros. It is not clear how they intend to do this, and whether a trillion euros (approx.) is the amount they consider to be sufficient to counter the effects of possible contagious sovereign debt defaults and banking crises in member countries. While these leaders attempt to keep kicking the can down the road with respect to how they manage the myriad financial crises that are evolving in southern Europe, it has become increasingly clear that the problem is too big to be handled without outside help. The Chief Financial Officer of the EFSF recently told a Brazilian newspaper that his colleagues are “pleased” to see BRICS countries starting to invest in the EFSF. The composition of the investments into the EFSF is not public, and therefore there is no real way of knowing how much each of the BRICS nations have contributed to the fund so far. The EFSF was originally set up to raise money for the Portuguese and Irish bailout packages through the disbursal of loans. Although the Fund has nearly risk-free credit ratings by all the major rating agencies (AAA by Standards and Poor’s and Fitch, and Aaa by Moody’s), it can be argued that investing in Greece’s sovereign debt is a far riskier proposition for creditors to the Fund. Many of the BRICS nations are already heavily invested in the euro. The central banks of China and India hold approximately 25% and 20% in eurozone bonds respectively and are therefore not likely to spend much more of their international reserves buying into a now suspect currency. However, much like Brazil, which is allegedly considering investing into euro debt via its Sovereign Wealth Fund (which allows greater risk taking) rather than purchasing debt through its international reserves, the economies of China, India and Russia could soon follow suit. Given the volumes of trade between the euro zone members and each of the aforementioned nations (China surpassed the U.S as E.U’s largest trade partner in July) along with hefty direct investment flowing both ways, it is certainly not in the interest of any of the stakeholders – to let the euro collapse. The involvement of countries like China, with immense amounts of liquidity, does not fail to inspire market confidence as was seen last year in July, when China announced that it would purchase a billion euros in Spanish debt. The bond auction was oversubscribed and lead to a turnaround in market confidence in Spanish debt even though China only committed 400 million euros. Keeping in mind their leveraged bargaining position in current circumstances, the BRICS nations should coordinate their positions and assert themselves while negotiating investments in eurozone debt. Although the BRICS nations have a diverse set of agendas and priorities, it is not hard to see a future where there is greater coordination within the nations in the grouping, especially between geographical neighbours Russia, China and India, in order to deepen global financial integration and reverse the Western narratives that have dominated the larger economic realm for the past century. At the Sanya BRICS summit in April, the leaders put on record that the “international financial crisis has exposed the inadequacies and deficiencies of the existing monetary and financial system” and that the BRICS nations support “the reform and improvement” of this system. In order to support the troubled European economies, the BRICS countries need to devise a formal set of pre-conditions for granting bilateral loans and investing in various bailout funds. Perhaps these could be centred on some basic premises such as further trade liberalization, increased access to intellectual property and perhaps they can even be self-righteous enough to demand more friendly immigration laws. The Europeans will no doubt be faced with some hard choices. They have to be careful to juggle two contradictory imperatives – that of enlarging existing regulatory capacities in order to strengthen and deepen European fiscal, monetary and political integration, while at the same time accepting the inevitable growing interdependence with external nations. If the evolving debt crisis in the eurozone is viewed through a deterministic prism, it becomes immediately apparent that panaceas such as debt write downs only offer short term relief to the markets as long as structural imbalances persist. In light of this, the Europeans will be hard pressed to look for a multipronged approach to dealing with the existing problems of their southern peripheral nations. The glory days of Western credit and forced fiscal reforms in Asia and other ‘south’ countries are far behind us, with hegemonic Bretton Woods era relics such as the International Monetary Fund struggling to find its ‘traditional’ relevance within the new political and economic realities. Although it is in no way certain that the balance of power will completely shift towards the emerging or recently emerged nations such as those in the BRICS, as they are grappling with internal problems of their own, one can be relatively certain that the growing degrees of independence – both from Western policies and from Western demand — will provide the perfect platform for increasing economic leverage through investments in equity and debt as well as direct investments. Europe has few options left but to align economic expectations with those of the BRICS. The question that still looms large is whether there is enough political unity and substance in the grouping (BRICS and other emerging nations) to make the right kind of bargains.